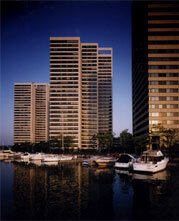 With a focus on maximizing the return on investments, the Silverman Companies develop and acquire premium properties. From master-planned communities and luxury rental apartments to commercial shopping centers and land for development. For every proposal, they organize intense market research, conduct extensive focus groups and test customer preferences to determine product, design, feasibility and targeted marketing. Due to outstanding relationships and reputation with property owners, real estate professionals and governmental authorities, prime properties are selectively obtained for consistent financial results. They control an extensive portfolio in the Midwest, among the most affluent and rapidly developing areas in the country. This strategic positioning enables the company to create market-driven developments tailored precisely to demographic demand. Once a development is determined, they work closely with local municipalities to entitle the property for construction. Through thoughtful site planning and value engineering, they ensure accurate installation of infrastructure, taking special measures to preserve wetlands and natural amenities.